This is a completely accurate depiction of me this week. Because I got a job guys. Not just any job. A book job. Y'all are talking to the newest publicist at Entangled Publishing. Cue the flail again! Ever since they launched in the summer of 2011 I've been a fan and have built wonderful relationships with their authors and publicity team. When a publicity position opened it seemed only natural that I put in a resume. Now I've got to take what I've learned as a blogger and translate that into marketing and publicity. I have a lot of learning to do but I'm excited to give it my best shot. It's a little scary and intimidating but exciting and inspiring and all those things that make a person flail like those wind sock thingies. So what are we all reading this weekend? I've got a great duo I'm absorbed in right now. 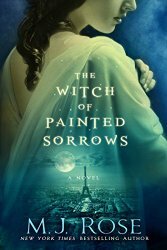 I've deep into the mysterious and delightful The Witch of Painted Sorrows (Daughters of La Lune) by M.J. Rose. It's pretty out of my usual genres but I was in need of something different. I'm always a little fascinated by 19th century France as a setting because my great-great grandmother was from that world but she passed away before I was old enough to get to know her. My other read is more in my usual vein. It's no secret that I am obsessed with fairytales. I love them so stinking much and I love retellings and reimaginings even more. 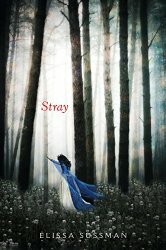 I requested that my library add an audio copy of Stray (Four Sisters Book 1) by Elissa Sussman to their collection and they bought it! So good so far, I am definitely digging this unusual mythology and the comparisons to The Handmaid's Tale are so apt. Good, good stuff if you want a read that has a feminist thread. I'll probably wind up buying a print copy for my collection I'm enjoying it that much.